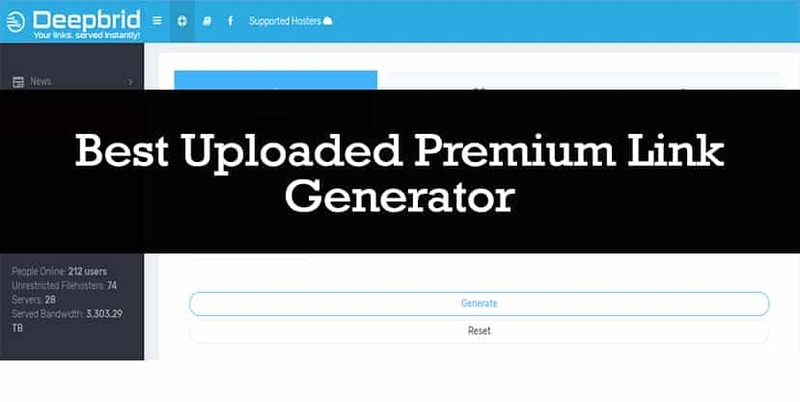 Looking for the best uploaded premium link generator in 2019, reevown alternative or leechall alternative? Deepbrid delivers one of the best free premium link generator services in the world today. 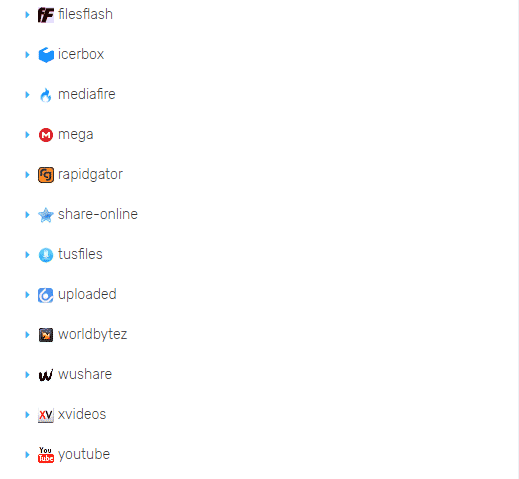 Deepbrid is a free premium link generator that offers some of their premium services to you for free, you can use all the supported hoster sites and download from them. Deepbrid remains one of the fastest premium link generators I have used, and I have used a lot of them. I also like how clean, simple and ad-free the interface is unlike some other link generators filled with clustered website layout and ad-heavy pages. They use super high speed dedicated servers with 1GBps speed and that’s just a conscious effort made by the Deepbrid team to give their customers and users the very best and fast download speed available to both free and premium users. Additionally, in an attempt to maintain the speed and quality of service, files leeched or converted are streamed to their servers then sent to you, instead of being stored on the servers which would case slowness when the server reaches its threshold. Deepbrid – “your links, served instantly”. A deepbrid free account is like a semi-premium account because you have access to all the hosters, the fast premium speed and you can use all the features. The only wrong side of using Deepbrid free account is the link generation limits and download limit. If there were no limit, deepbrid would probably be long dead because their servers would have been overloaded by freeloaders that would misuse the service thus reducing the quality. I would recommend you get Deepbrid Premium, so you have no limit to your downloads and have the full support of the Deepbrid’s team with you. Deepbrid remains on the best reevown alternatives today and one of the best free link generators in 2019. All these are supported by the fact that as a free you get premium download speed from all the supported hosters. Most premium link generators won’t give free users premium download speed; they usually reserve that feature for their paying users. Why is deepbrid the best uploaded premium link generator in 2019? Well, it’s because they love their users both free and premium and they provide you with the following features even as a free user. 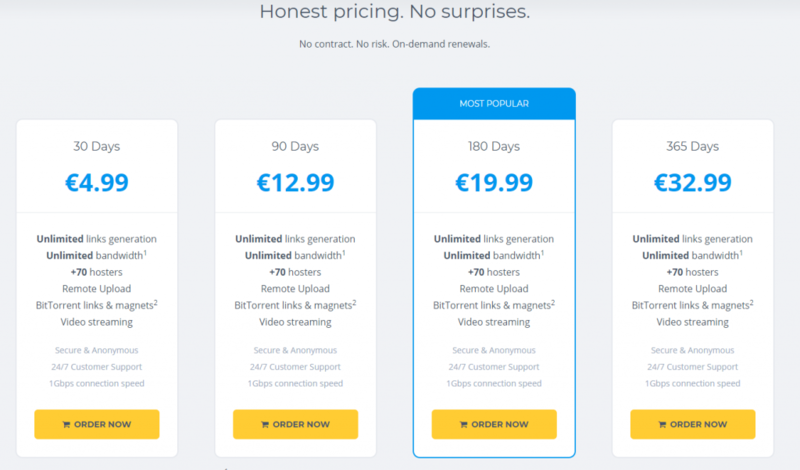 All these features above can be used with a free account, you don’t need to pay any money to get those premium features listed above, and that’s why I like this free link generating service because it empowers it’s free user’s account. As a free deepbrid user, you won’t feel like you are limited, but the truth is – you are limited as a free user. Deepbrid uploaded premium link generator has one of the cheapest most affordable premium plans ever. With as low as $5 for 30 days, you can start to enjoy Deepbrid premium services which trust me is worth it. Deepbrid premium access comes with premium access benefits like. They have one of the best downloaders in the market with three powerful features. 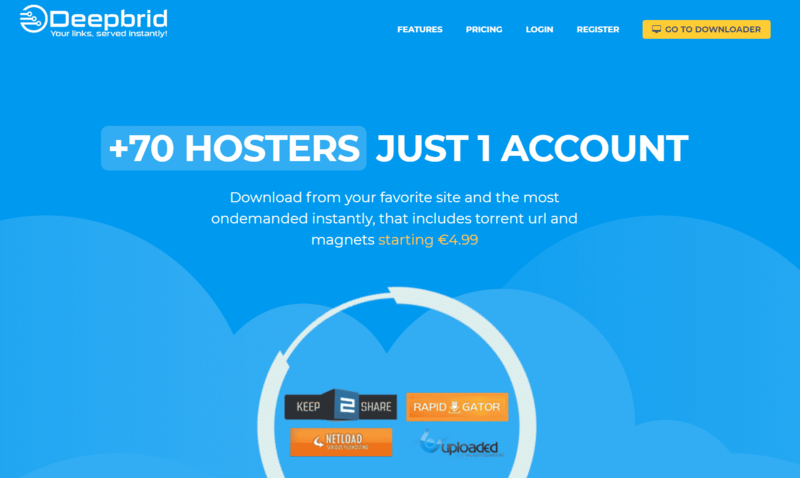 Free users only have access to the filehost service while premium users have full access to all three services – filehost, torrent upload, and remote upload. I recommend you get Deepbrid premium now – Click on this link to get the best prices available today. 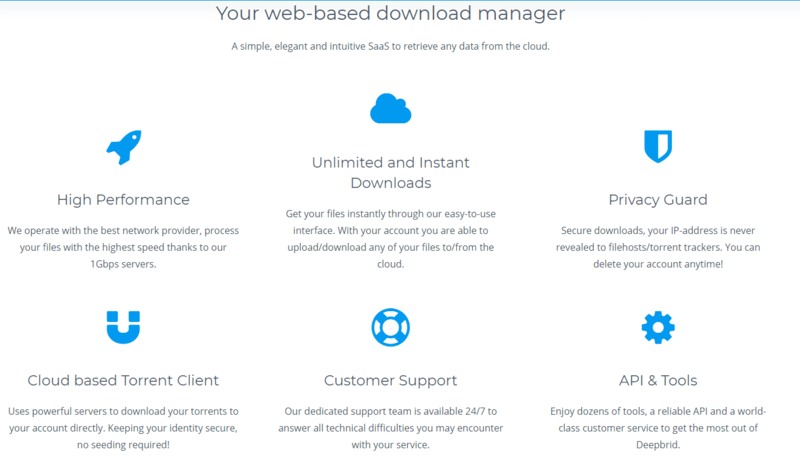 Deepbrid’s filehost service allows both free and premium users to convert premium file hosting sites links to direct links you can download with IDM or any other downloader you want. It takes links from sites like uploaded, rapidgator, share-online, and the other sites it supports and converts their links to direct links so you download those links like you are a premium user, convenient, isn’t it? The Torrent upload feature in Deepbrid is a powerful premium feature which allows premium users to upload a torrent file and convert it to direct links which you can download torrents safely with download managers like IDM. The last feature is the remote upload function which is still in the BETA stages. It enables users to upload a file on their computer to Deepbrid’s servers and get a direct link for that file which they can share with others. It’s kind of like your premium file hoster. Register a free account with them or sign up using your Google account (that’s faster). Copy and Paste the premium file hosting site’s link you want to download in the box (Ignore the password field unless the file you want to download has a password). There is a daily limit for Deepbrid free users, and once you have exceeded the limit, you would have to wait for 24 hours before you are allowed to continue using their service. I think this daily limit help keep the quality of service and also keep free users engaged and coming back for more link generating activities. The daily limit is not too small or too big, it’s just above the right number, but some people may feel it’s too small because they want to download the whole internet through Deepbrid. This daily limit keeps free users in check, and so they know they have limited access and should download what is very important to them first. With Deepbrid you don’t need to have an account in different file hosting sites before you can download with premium speed from them. 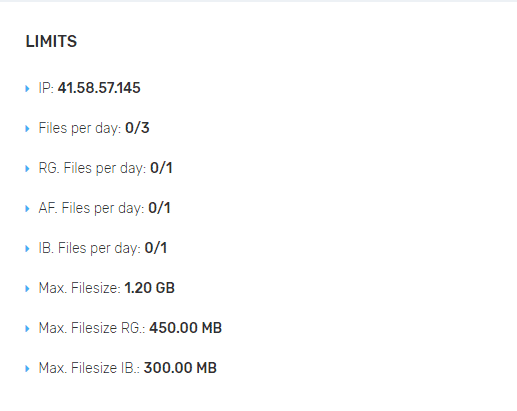 Just a single Deepbrid account will give you premium access in all the supported file hosters saving you time. 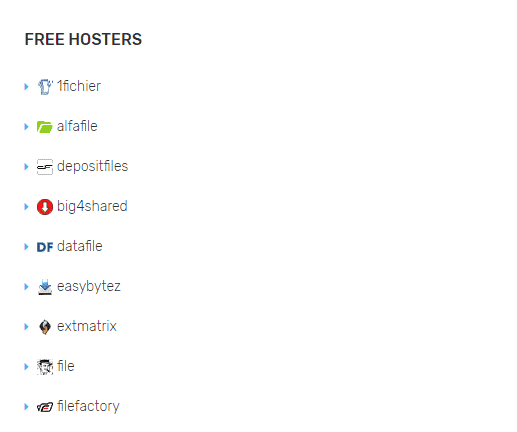 Let’s take a look at the file hosters available for free users. They have a dedicated page for customer support. It’s a place where you can submit a ticket stating any problems you faced or encountered while using the Deepbrid service. Their support team is not around 24 hours because they are actual human beings and not generic bots. They answer customer tickets Monday to Friday from 9 am – 6 pm Eastern Standard Time (EST), no weekends. I will ask once again are you still looking for the best uploaded premium link generator, reevown alternative or leechall alternative in 2019? Look no further – Deepbrid is the best free link generator service you should use, and I’m sure you agree with me. If you don’t, let me hear all about it on the comment section below.